A LEADING psychiatrist has described efforts to remove the confessional seal as a “distraction” as governments continue to respond to the final report of the Royal Commission into institutional responses to child sexual abuse. Associate Professor Carolyn Quadrio, who was an expert witness at the Royal Commission, said she agreed with clergy views that confessions of sexual abuse were extremely rare. Her comments followed confirmation that South Australia would remove religious protections from October 1 while other states discuss a national approach. “Clinically I must say I’ve got the same experience as Father Frank Brennan who said, I think recently, that in his 30 years as a priest no one had ever confessed (child sexual abuse) to him and I think the same from the point of view of a psychiatrist,” Assoc Prof Quadrio told ABC’s The Drum program. “People who are abusing children don’t generally go and tell the priest that they’re doing it. The confessional seal has drawn heavy coverage in mainstream media following the release of government responses to the Royal Commission’s final report. The Commission had requested that governments respond within six months of the December 15 publication of the final report. The Queensland Government’s response accepted 88 of the Royal Commission’s 409 recommendations while accepting-in-principle 156 recommendations, noting 76 and marking 89 for further consideration. 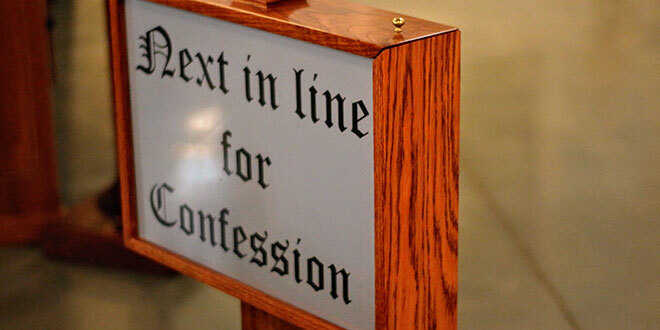 The State Government accepted in-principle the recommendations relating to the removal of the confessional seal while noting all recommendations that were specific to the Catholic Church. The Government also responded to recommendations which involve non-government schools including Catholic schools. Brisbane Archbishop Mark Coleridge said the Queensland bishops were considering the State Government’s 124-page report. “We will work with the Government in every possible way in the area of child protection,” Archbishop Coleridge said. “In recent years as we have put in place structures and strategies, procedures and protocols which are intended to change the culture which allowed abuse and its mishandling to happen. “But we do not accept two commonly made claims. “The first is that one must choose between child safety and the sacramental seal. We choose both, claiming that one requires the other. “The second is that the sacramental seal is the linchpin of a culture of secrecy and cover-up. Anyone who claims that has no practical knowledge of the sacrament. “We are working in the interests of good public policy that will actually help to make children safer.